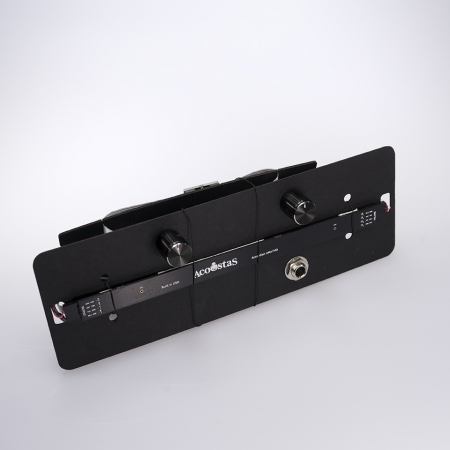 The GCF Solo is a no hassle, no installation needed wireless accordion microphone system designed for the most animated accordion players in the world. 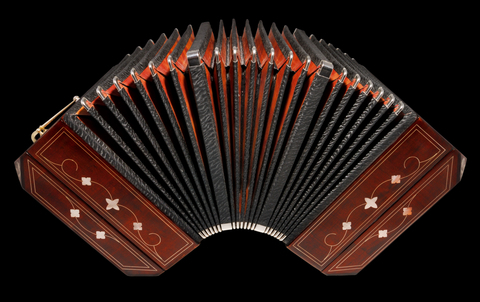 Do you own one or more accordions and like to switch instruments during a show on the fly? Usually you would have to unplug, re-plug, or make it back to your microphone quickly to not interrupt the performance. You now have a different option. The Acoustas GCF Solo is an amazing way to mic your accordion without needing to stand in front of a mic or worry about instrument cables. 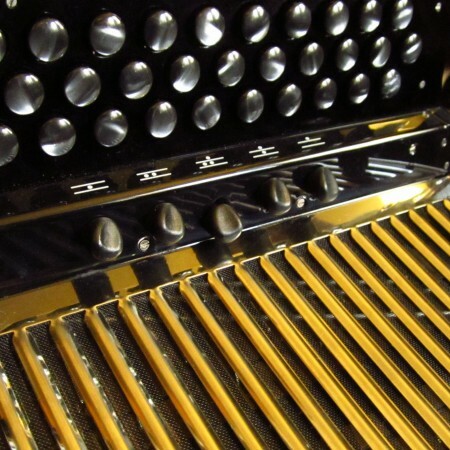 The GCF Solo is a wireless mic that mounts comfortably on the grill of your accordion so you can play right away without any installation. Don’t forget its wireless too, so you can play anywhere you want. 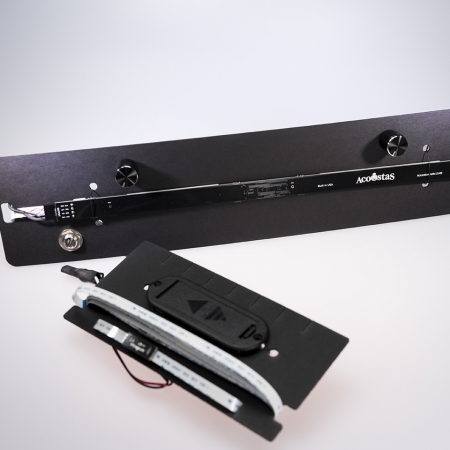 The microphone receiver is compact and will fit easily anywhere on stage or on top of your amp. The best way to use it, of course, is to connect it directly to a PA if available, but even for street performers, you can’t go wrong with the GCF Solo. This system works great with small to medium size accordions/Tex Mex/concertinas with GCF tuning (ultimate mariachi!). Mounting this mic takes no time at all, and you don’t even have to make any modifications to your instrument. Record your accordion directly to a computer with a single USB wire connecting the receiver to the computer. No custom drivers are needed. Windows and Linux are currently supported with Mac support planned in the future. The GCF Solo comes with everything you need: Mic/Transmitter, Receiver, Power Supply, Carrying Case. 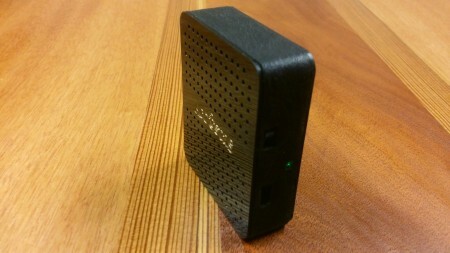 Also, this new mic is a remarkable wireless solution for harmonica players, fitting right in the palm of your hand.